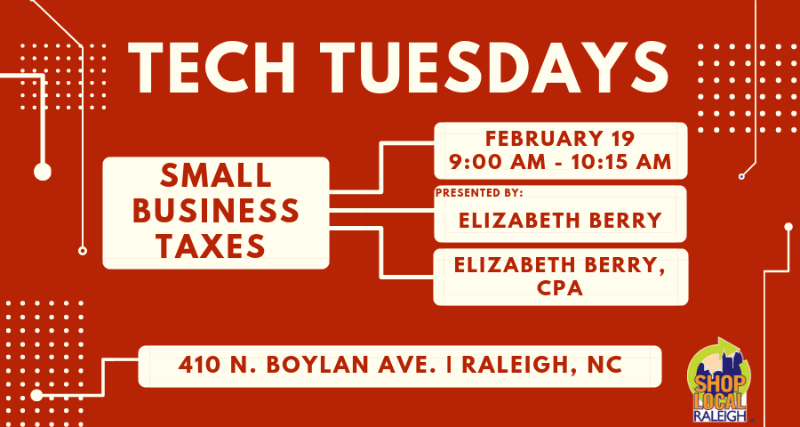 Get your tax questions answered at Tech Tuesday!Elizabeth Berry, CPA returns to host Tech Tuesday and bring us all up to speed on any changes to tax laws in 2019. We will also cover making the most of your return, differences in filing for an LLC vs a C corp, and any other questions you have. Be on the lookout for a post on the SLR member Facebook group page for questions you have for Elizabeth prior to the event in February.